At the end of the 1990s, SAP started to offer BI products with its packaged solution SAP Business Warehouse (SAP BW) which included besides data storage also front-end components (e.g. SAP BEx). To support a broader user spectrum as it was possible with the SAP BW front ends, the vendor acquired Business Objects in 2007 and complemented the portfolio by additional, self-developed BI products like SAP BusinessObjects Analysis for Microsoft Office (SAP AO) and SAP Lumira. All of them were packaged as SAP BusinessObjects BI platform. For planning, budgeting and consolidation in on-premises scenarios, SAP positions its Business Planning and Consolidation (BPC) product, which was originally acquired from OutlookSoft. The on-premises portfolio is complemented in the area of predictive analysis by SAP Predictive Analytics, which is partly based on the KXEN acquisition. 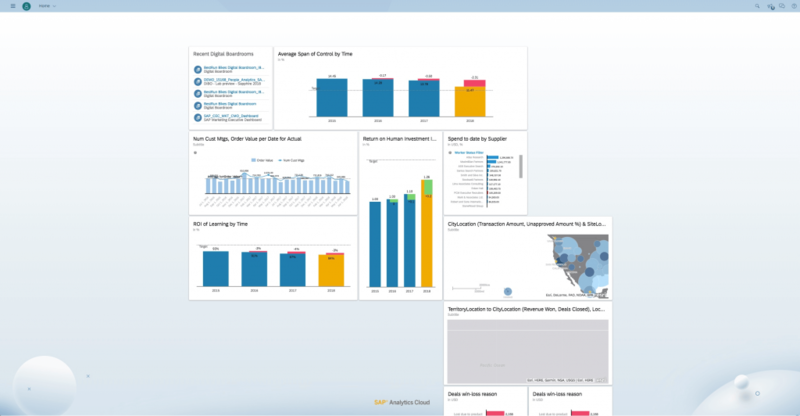 In the cloud analytics segment, SAP Analytics Cloud (SAC) consolidates analytics functionalities such as analysis, reporting, dashboarding, planning and predictive analysis for different users into one product. 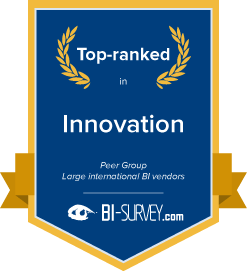 SAP’s original strategy was to view BI as an extension of its all-inclusive ERP offerings. So, in 1998, it launched SAP BW, a completely packaged BI solution designed to complement SAP’s ERP applications. The package contained connectors to SAP ERP modules, a data warehouse for storing source data, subject-oriented data marts and predefined content as well as tools for reporting, analysis (SAP BEx) and planning (SAP BW-Integrated Planning, also known as SAP BW-IP). The goal was to provide a plug-and-play BI solution that would make it fast and easy for SAP customers to benefit from BI. With BW/4HANA, SAP released its next generation data warehousing offering in 2016. The overall concept and goal of this package remains similar to the approach with BW: to provide software support for customers to integrate SAP operational data sources with big data sources and create a data warehouse which exposes its data to different front ends. In contrast to BW, the new BW/4HANA solution does not include front-end tools anymore. SAC is a purely cloud-based solution (SaaS) delivered on the SAP HANA Cloud Platform and can be deployed in a public or a private cloud option. In a private cloud infrastructure, the hardware has to be HANA certified, as the solution runs on HANA as a database. 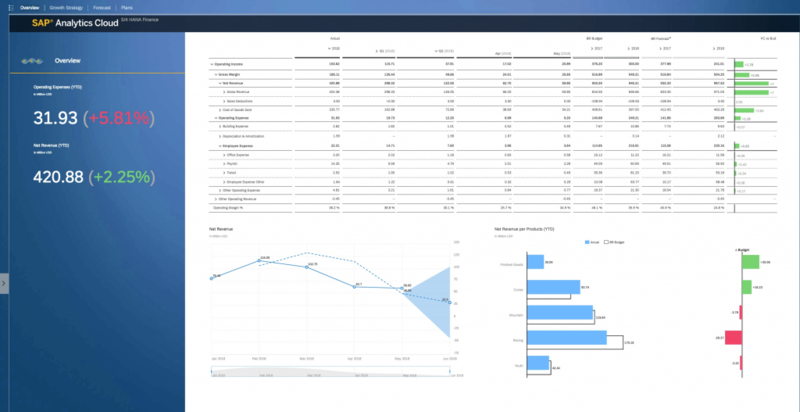 Reports and dashboards, as well as planning forms, are created with Report Designer, which is part of the solution. Report Designer offers functionality to select data views of a model and drag them to a Report Designer Action Pane to create a new report (same for dashboards). Once created, reports can be saved in a private or public folder, either for personal use or for group use. Since SAC is one integrated product, it is possible to pin charts and reports to public dashboards to make them available. Each report can also be saved as a template, for example, to be compliant with corporate design standards. 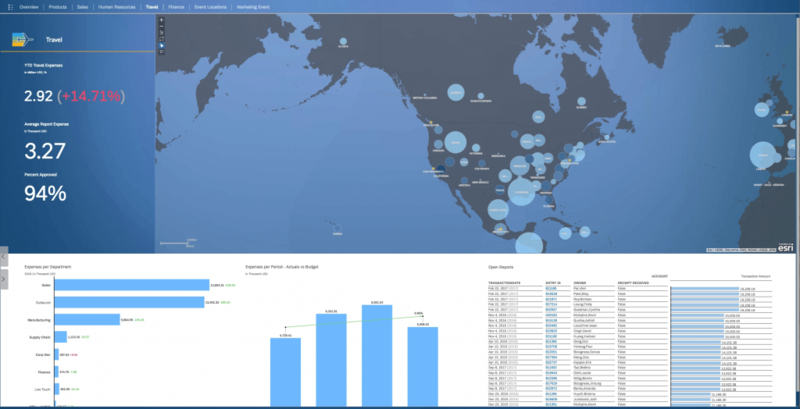 SAC is a cloud-based BI solution focused on dashboards, reporting, analysis and planning, as well as providing additional predictive capabilities. 73 percent of customers use SAC to create dashboards – the solution’s core capability at the moment. Although the solution can be used for planning and budgeting, only 16 percent of respondents have rolled it out for this purpose to date. SAC was designed as a business-oriented software with functions to access and model data as well as visualize it using dashboards. Its top three competitors underline SAC’s strong focus on business users. SAC’s data modeling capabilities seem to convince users: 51 percent (compared to The BI Survey average of 31 percent) use the solution for modeling/enriching data. Like other SAP solutions, SAC is mostly used by large companies (65 percent). The number of users and percentage of employees using SAC reflect the relative youth of the solution. Currently, customers seem to use it for specific use cases to build familiarity with the product prior to rolling it out to a wider audience. 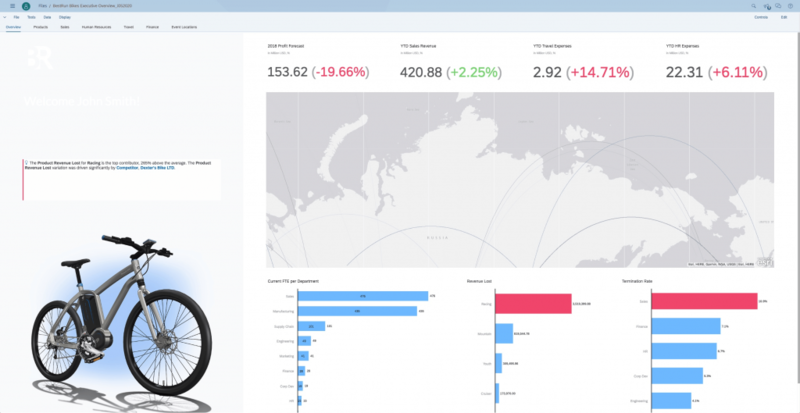 SAP Analytics Cloud (SAC) is SAP’s youngest BI and planning solution and follows the trend of integrating BI with performance management in one unified solution. This combination of planning and data with actual numbers gives customers immediate analysis and reporting capabilities to perform efficient performance management and business intelligence. The software was designed with business users in mind. It is often used for self-service tasks: SAC leads four of its peer groups in the ‘Self-service’ KPI. Its capabilities seem to provide high business value to SAC customers, who rate it highly and feel it delivers reasonable value for money. BARC’s Vendor Performance Summary contains an overview of The BI Survey results based on feedback from SAP Analytics Cloud users, accompanied by expert analyst commentary. 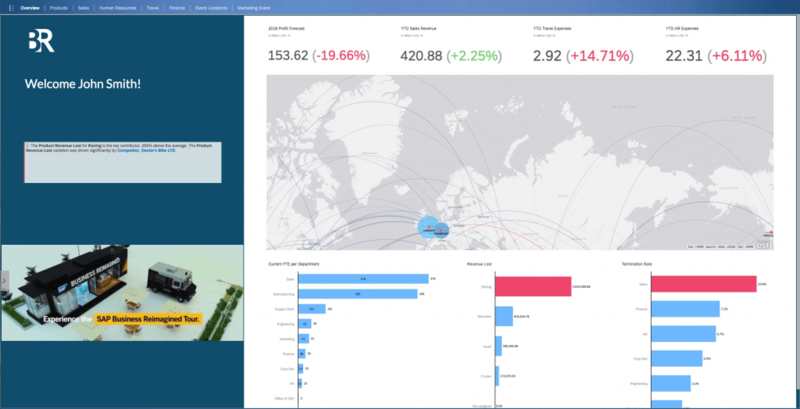 Great product with three capabilities: BI, planning and predictive. We like the Hichert standards that are implemented in SAP Analytics Cloud. Innovative all-in-one product with strong connectivity to SAP HANA and SAP BW. Ich finde SAP Analytics Cloud super. Der Import inklusive der Möglichkeit Fehler gleich zu erkennen und zu bereinigen ist ein Hauptpluspunkt., genauso wie die recht einfache Handhabung und Erstellung von Dashboards. Sehr gut finde ich auch die Auswahlmöglichkeiten. Herausragendes Analyse & Planungswerkzeug. Vor allem das Preis-Leistungs-Verhältnis, sowie die Integration von Analytics, Planning & Predictive überzeugt. Zudem eine ansprechende und benutzerfreundliche Visualisierung. Schneller Rollout und Implementierung. Hohe Kundenzufriedenheit.